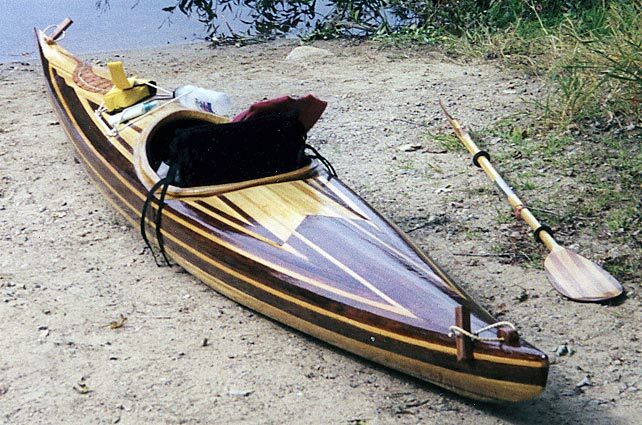 FEATHER is a 16' cedar strip sea kayak Guilllemot design by Nick Schade of East Glastonbury, CT This is the first boat Mitchell Skinner built. It was launched in May 2002 and he uses it on the coast of Maine and NH. Email Mitch at mskinner@verizon.net.